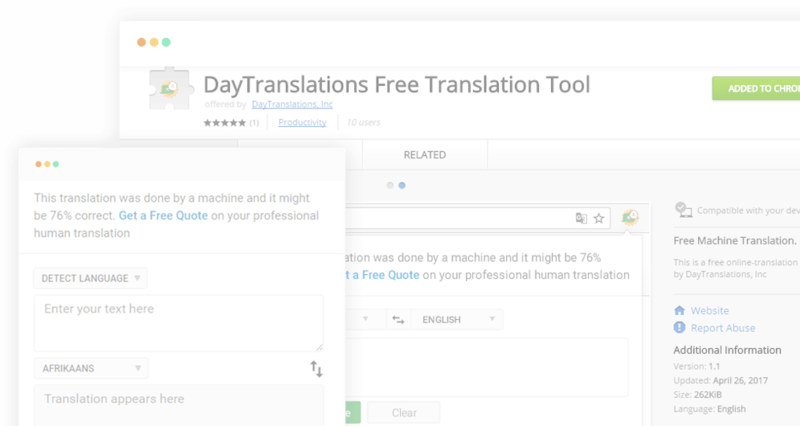 Free Translation Chrome Plugin - Day Translations, Inc.
With the Day Translations Free Translation Tool, you never have to leave your browser screen to find a good translation. Just click and type! It’s fast, easy, versatile and completely free. Our easy translation utility comes equipped with the most powerful language features to make your translations a breeze. Here’s what you can expect. Save valuable communication time with a translation tool always on hand in your menu bar. The clear, minimal design is easy to use. For bigger pieces of text, click open in Browser. Your translator browses with you everywhere, so you never have to fumble through tabs. 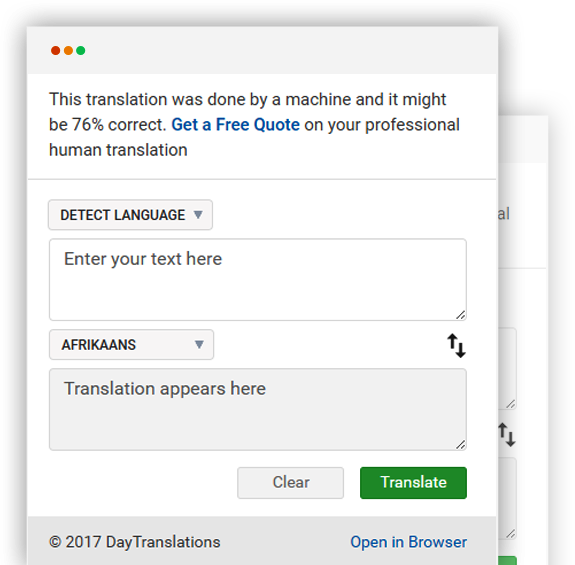 The translation software saves you a step by identifying which language you are typing before you finish inputting your text. You’re one click away from a worldwide network of professional translators. The Day Translations team is on call 24/7 to help you with your translation needs. Three clicks and five seconds. That’s all it takes to access the power of this free translation utility. Download now!